Ships tomorrow if you order in the next 19 hours 42 minutes. Whey Peptein is easy to work into your diet. It mixes well with liquids, so it's the perfect protein for a daily shake or smoothie. And it only adds 53 calories per 2 tablespoon serving. This protein delivers 15% of the beneficial glycomacropeptides, while others on the market contain 10% or less. It is derived from milk and emulsified with a trace of soy. 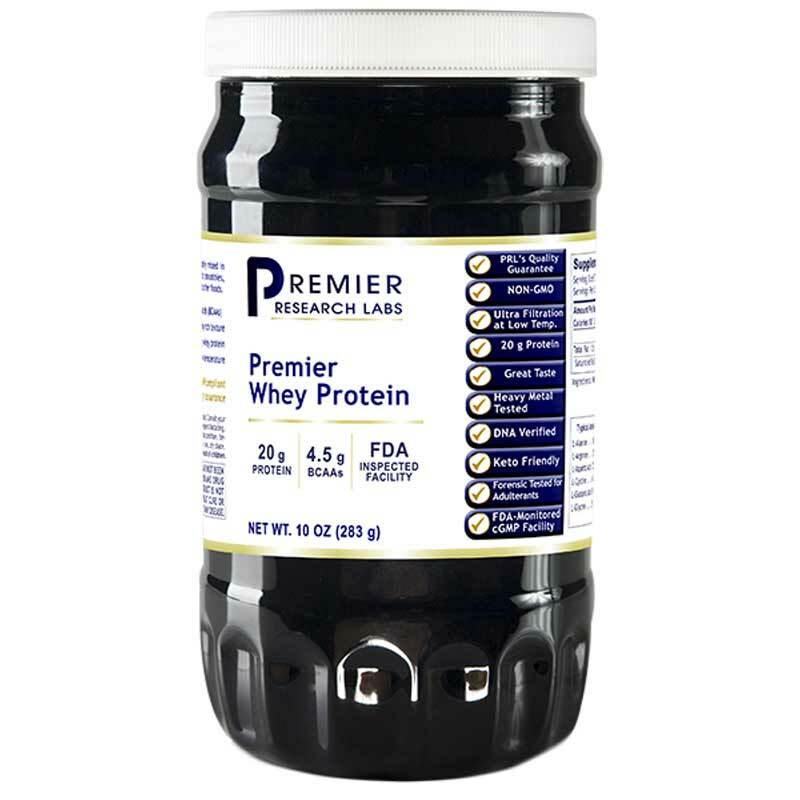 If you're looking for a premier-quality whey protein powder, check into Premier Research Labs' Whey Peptein. Order online today! Contains NO: : magnesium stearate, artificial colors, flavors or preservatives. Adults: Mix 2 tablespoons 2 times daily in water, juice or your favorite drink. May also be added to smoothies, cereal, etc. usually mixes well with just a fork.the latest batches need extra mixing. I use this with barley grass and coconut oil and prl lecithin and chocolate stevia powder to make a healthy protein drink. This is a great product by Premier Research. It tastes great and is a wonderful source of protein. Thanks Natural Healthy Concepts! easy to mix with a fork for now.next lot might be different.